Britannia Devereux are a family owned firm with over 50 years experience in the Removals, Shipping, Office Moving and Haulage Industry. 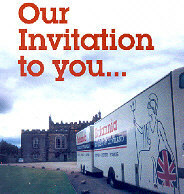 As well as founder members of Britannia Movers, we are also members of the B.A.R. (British Association of Removers) who are dedicated to upholding the highest standards of service throughout the removal industry. All our staff members are trained professionals able to offer help, guidance and practical advice as well as personal service. We are members of a whole range of trade associations encompassing the removal industry which are shown at the bottom of this information. Steel containers specially designed top combat the major catastrophe and homeowner fears - fire and flood damage. We welcome you to our depot where you can see our packing materials, blankets, various sizes of cartons, wine cartons, tissue paper, laminated bubble-wrap, polystyrene carton liners etc. 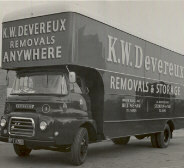 - all items which may be used in your removal. You can see our training school attended by young staff members on various programmes. You can see everything we do to ensure that your move is a happy and pleasant one - we consider it our duty! 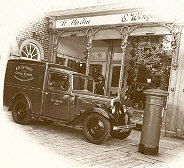 Please contact ourselves with any questions you may have or to arrange a visit to our premises.